Thank you for downloading Cazuela WordPress theme by ThematoSoup. Cazuela is amazingly flexible and powerful free theme. It comes with 6 different page layouts and 9 widgetized areas. Clean code and latest WordPress quality guidelines make it secure and very light. Every feature you want to enable or disable is in one place – Theme Customizer, so whenever you change something you get an instant preview. Theme customizer is a native WordPress feature which makes it very easy to adjust the theme to your liking. Cazuela is carefully thought through and gives you much flexibility for you to sway it into anything you need. All of these options are easily accessible through Theme Customizer, found in Appearance > Customize. Most of you will use these three, but some will have the need for inserting banners, AdSense ads, calls-to-action and other content and have more control over positioning. Cazuela comes with 11 predefined color schemes. You can tweak any color scheme to your liking by choosing its link color and background color which applies only for boxed layout. You have the option of setting a custom background image or a pattern. This will only be visible if you select boxed layout. 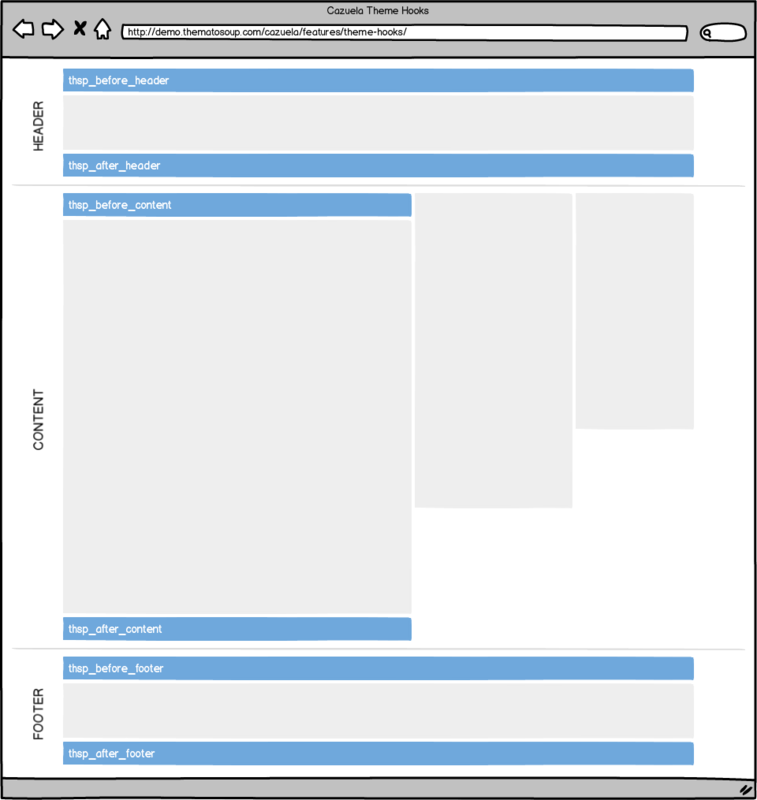 A custom background color will be overridden by a background image. Navigation Cazuela lets you select your menus from within theme customizer, as well. You have the option of showing your navigation above or below posts. Static Front Page is where you choose what to show on your home page, as well as which page will serve as your blogroll. 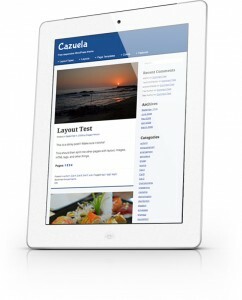 Cazuela theme is responsive, so it will look great on browser window any size and on any desktop or mobile device. Typography is what makes every website usable, readable and determines its character. Cazuela lets you choose between 8 Body and 7 Header fonts. Site title and tagline are your standard WordPress features. They are placed in the header area. Site title is substituted by logo should you upload one. Six matching widget areas are added to the theme using these action hooks, so you can easily remove them in certain pages using remove_action function. To uninstall Cazuela theme you will first need to deactivate it. This can be done from Themes screen in your WordPress dashboard. First activate a different theme. After this hover over Cazuela theme image and click on the “Delete” link. If you like it, please take the time to rate it at Cazuela WordPress.org page. If you have a suggestion on how to make it better feel free to tell us using our Support Forums or contribute yourself on GitHub.